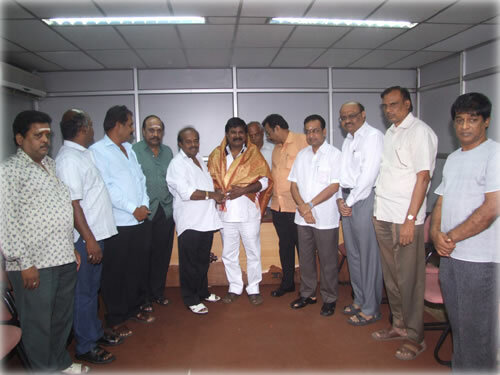 The elections to select the President, Secretary and office bearers of the Kanchipuram-Thiruvallur district Distributors’ Association was held yesterday (November 15th 2009). The current President Kalaipuli G Sekaran contested the election opposite K Rajan. The election which began at 9 am came to an end at 4 pm. 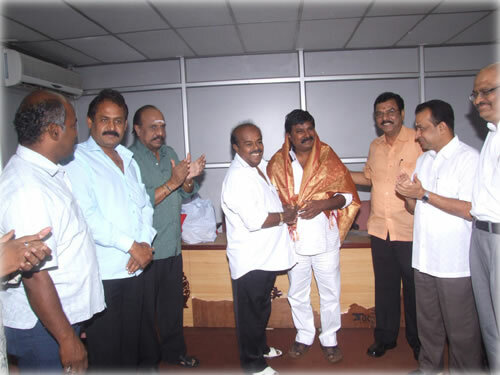 The counting was done at the end of the day and Kalaipuli G Sekaran was declared the winner. He defeated K Rajan by 91 votes. Dr Kalidas was elected as the Vice-President and Rajagopalan was elected as the Additional Secretary. J Jayakumar and Badhusha, both belonging to K Rajan’s camp, were selected as the Secretary and Treasurer respectively. Kamal to work for Balu Mahendra?